I am thrilled to announce a new giveaway! Now, I am totally obsessed with my nails and nail colors, but I truly do hate having to apply nail polish, wait for it to dry, and then have it chip in just a day or two. I have an entire Pinterest board devoted to my Nail Love. You’ve seen these types of products in the grocery store and drug stores: nail shields. They are rather inexpensive and come in all kinds of adorable patterns. Jamberry Nails is a company that sells patterned vinyl nail shields that you can use to decorate your nails without polish! They are one of the leaders in this product, and they do home parties with hostess rewards and everything! Jamberry Nails is different than most of the nail wraps in the store because most of those are nail polish strips (Sally Hansen, for example). That means that they chip, have an odor, and they must be used all in one application or they will dry out. Jamberry Nails, however, are vinyl nail wraps that never dry out, have more sizes to a sheet, won’t chip, etc. I love vinyl, as you have seen from several of my posts. The patterns that Jamberry has created are so cute and versatile. 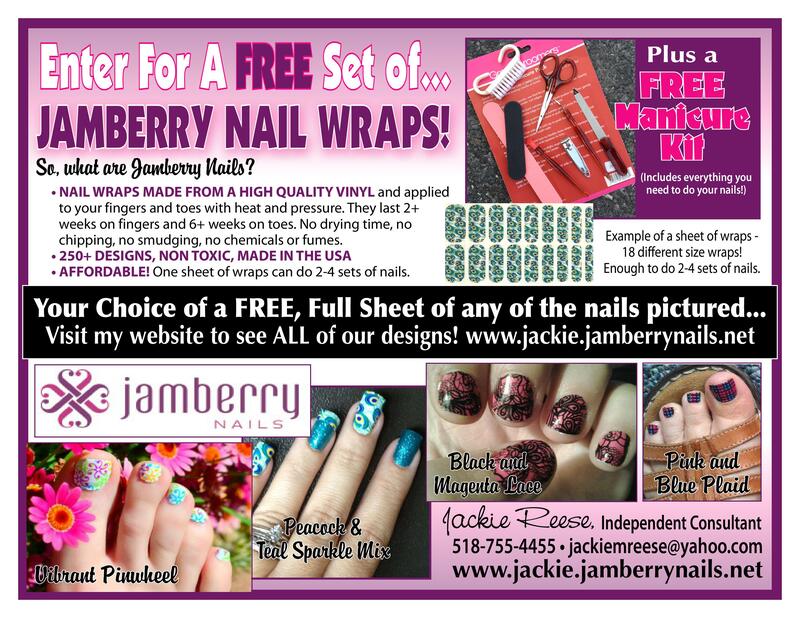 One other huge bonus is that Jamberry Nails are MADE IN THE USA! The story of Jamberry Nails begins with three sisters who possess distinct personal tastes, but share a love for style. After an expensive afternoon together at the nail salon, Lyndsey, Christy and Keri vowed to find a simpler, more cost effective way to keep their hands looking polished, while still spending time together. Gone are the days of nails that chip and flake after only a few days! 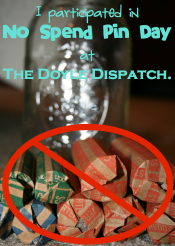 Gone are the days of mani/pedis that take all afternoon and most of your cash, too! Jamberry Nails arm you with style and confidence, while demanding very little of your time or money. Which is your favorite? I absolutely LOVE the Peacock & Teal Sparkle Mix, but those are my favorite colors (and I love peacock feathers). Here is how you can enter the giveaway. You can enter up to 5 times (one for each method). The giveaway will close at 11:59 PM on Sunday, January 20. Thanks so much to Jackie for sponsoring this giveaway! This entry was posted in Do-It-Yourself, Giveaway and tagged giveaway, Jackie Reese, Jamberry Giveaway, Jamberry Nails, nail art, nail love. Bookmark the permalink. My nails need a hot date with Jamberry! I want my nails to have cute bright designs without peeling off the next day! My nails are sad and lonely so I need to give them something fun like beautiful colors to make them happy !! My nails need anything better than what they currently have…plain! My nails need color that doesn’t chip before I leave the salon! My winter nails are afraid to see the sun! They need Jamberry bad!